Packs of 100 badge reels with straps. 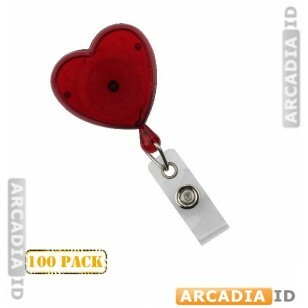 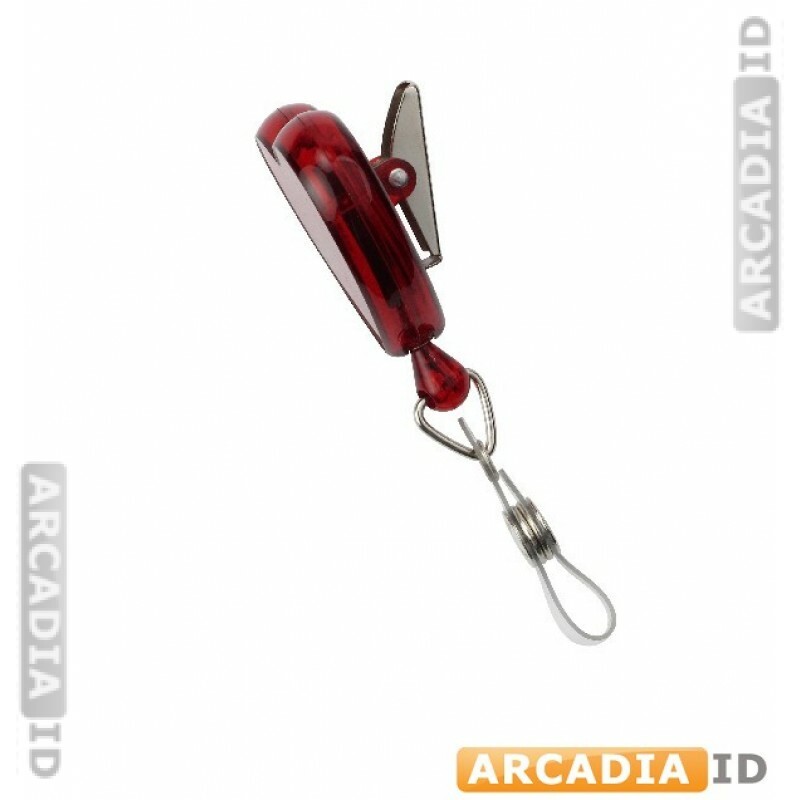 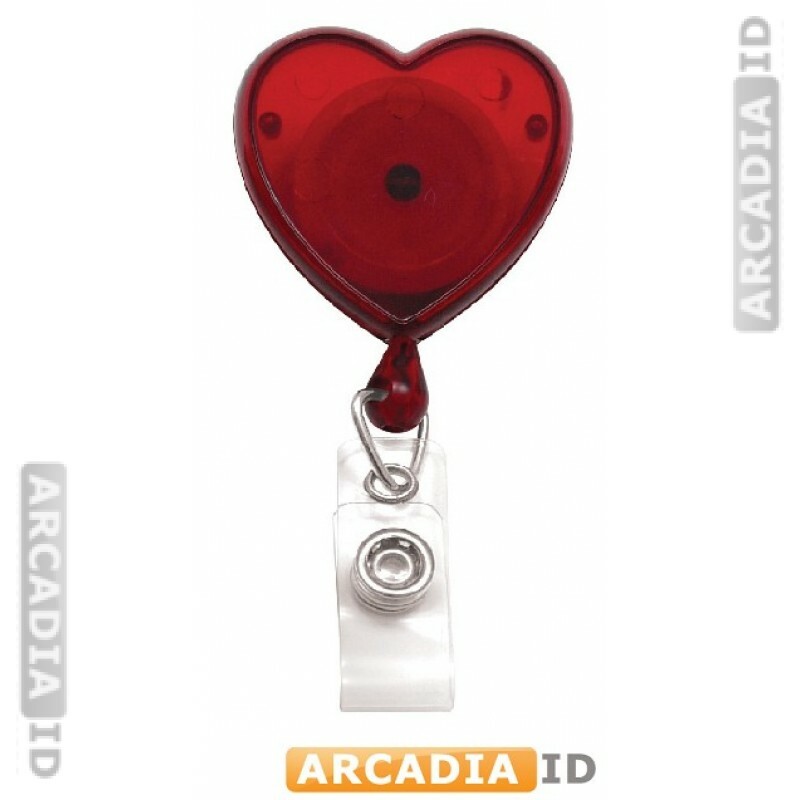 These are translucent red and shaped like a heart offering a more attractive way to carry your cards. 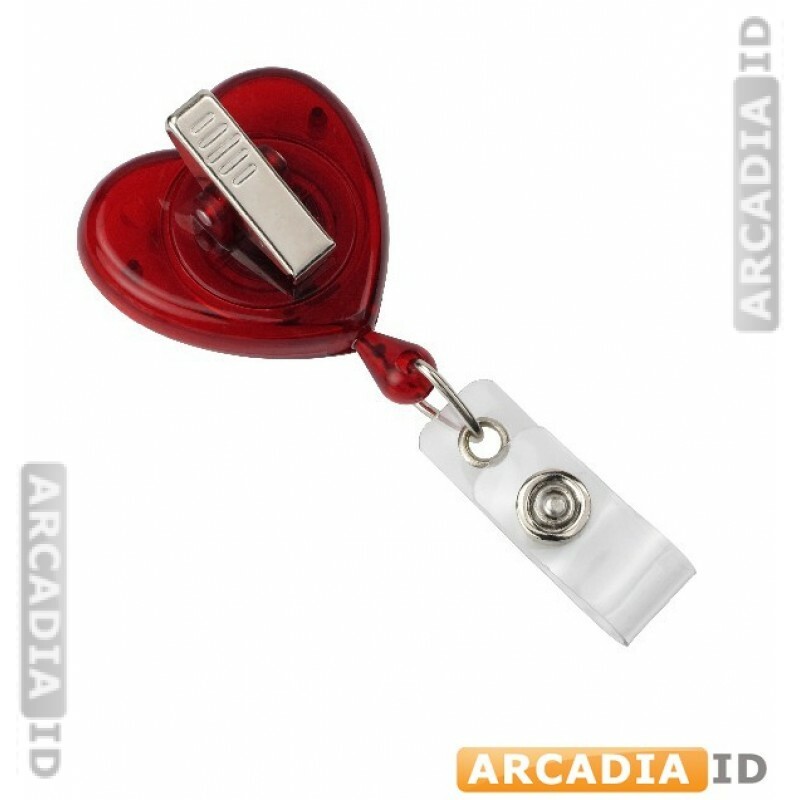 For the full range of great photo ID card materials for low prices take a look around our other items. 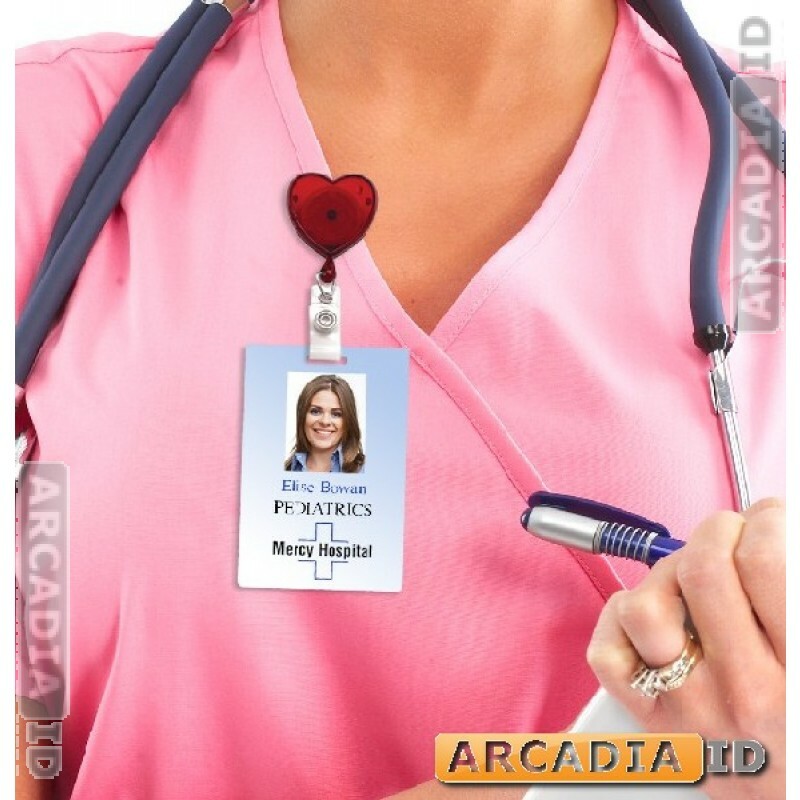 For the top products and value choose ArcadiaID.